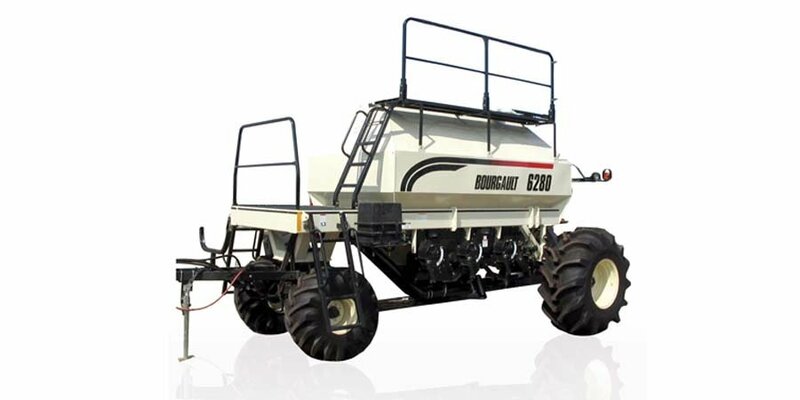 The Model 6280 Air Seeder offers many large tank features in a smaller tank size. Besides the standard Model 591 Air Seeder Monitor, 2015 Model 6000 Series air seeders have two additional options for seed rate control. For those Operators wanting extreme capability, Bourgault offers the X30 Apollo System. The X30 Apollo System* provides unprecedented control of your 6000 Series air seeder. Alternatively, Bourgault offers the optional ISO Apollo System. The ISO Apollo System provides basic control for those individuals who want fewer options. The Model 6280 is equipped with the 8" Dia. Standard Auger. Tank Mounted Camera System - Bourgault offers a leading stand-alone monitoring system option that allows you to watch what is happening in each compartment and behind the air seeder.